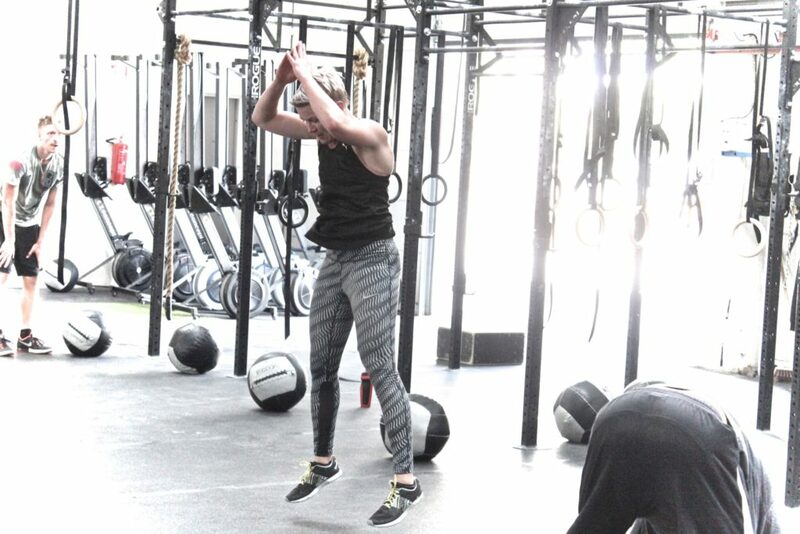 A ) 4 sets of 20m weighted over head walking lunges, regionals style. (one dumbell rests on shoulder while the other is in a overhead lockout.) Switch hands half way. B ) 5 sets of 3 seated box jumps. As high as possible. Rest as needed.